Obituary for Saverio Joseph Mancieri Jr. | George C. Lima Funeral Home, Inc.
Saverio Joseph Mancieri Jr, 87, of Kathy Court passed away on June 29, 2018 at the Philip Hulitar Hospice Center. He was the husband of Shirley (Gaynor) Mancieri. Born in Bristol, he was the son of the late Saverio and Margherita (Marabello) Mancieri. In addition to his wife, he is survived by his children Dianna Mancieri and Joseph Mancieri. 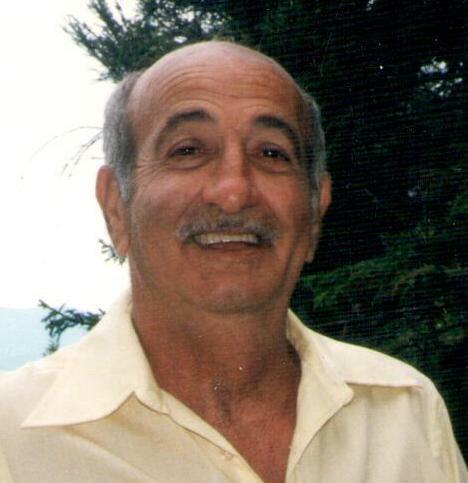 Mr. Mancieri was a graduate of Colt Memorial High School and employed by Carol Cable for 22 years. He then worked as a special education bus monitor for First Student for 21 years. He was a member of the Bristol Athletic Hall of Fame as well as a former coach for the King Philip Little League and OLMC basketball team. He was a member of the Cup Defenders and the Friday Night Bowling League at Dudek’s. He enjoyed being with his family, working in his yard, the 4th of July, trips to North Conway on Columbus Day weekend, Disney World and especially his wife cooking. Calling hours are Friday, July 6th, 8 - 9:30 AM at the George Lima Funeral Home, 367 High Street, with a Mass of Christian Burial, 10 AM at St. Mary's Church 330 Wood Street. Burial will follow in North Burial Ground.